Around the holidays, I have the intention of DIYing all of the things, because 1) I love DIY gifts, 2) I love making DIY gifts, and 3) I want my gifts to express the thought and care that I feel about my friends who receive them. 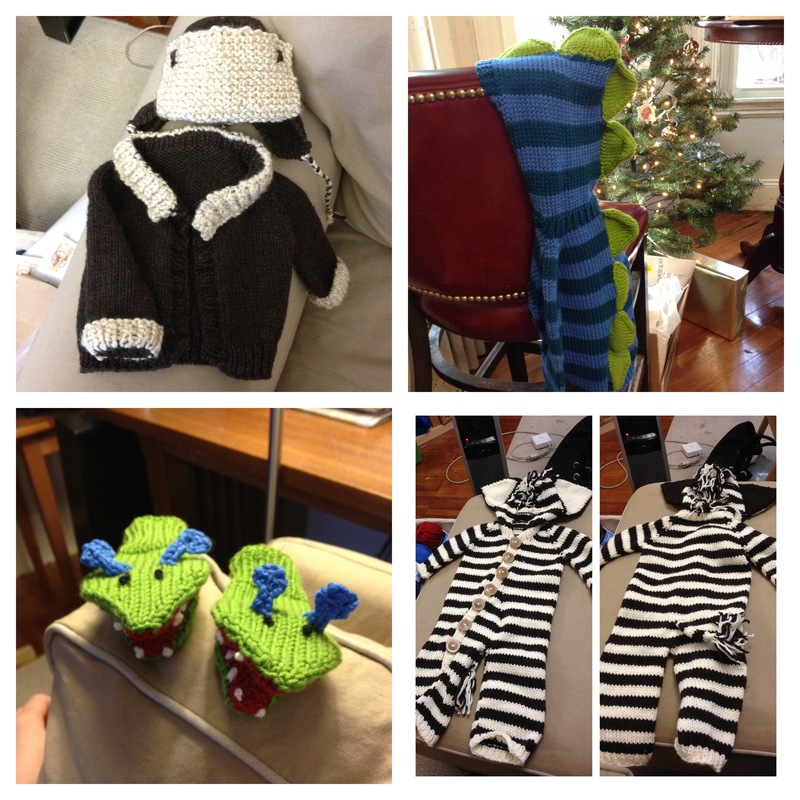 Last year, I knitted for all the kiddos in my life, and although they have long outgrown the gifts, it was really cathartic for me to make some kid-sized gifts and craft productively in a period of underemployment. Clockwise from top left: Aviator sweater/hat set for Olivia, Dino-rawr sweater for Landon, Zebra suit for Alden, Monster mittens for Kai. Not pictured: Killer Bunny Rabbit mitts for Julia. But as the age of Pinterest grows, I become less interested in DIYing for the holidays, partially because I have a fear that everyone is reading the same Buzzfeed or Brit + Co. or MAKE magazine, and that the ultimate “I made you the same gift!” faux-pas is just on the horizon. I haven’t even been able to get started this year. I think about DIY, and then my creative paralysis sets in, and I end up doing nothing but surfing more Buzzfeed or Brit + Co. and feeling more bad about the DIY that I am not doing. 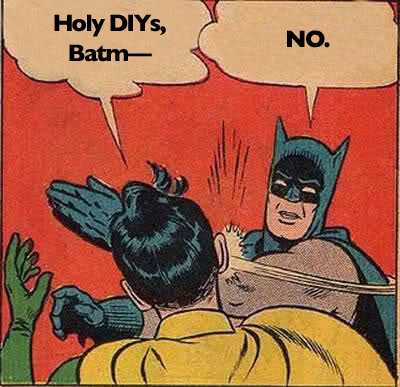 The vicious circle of DIY shame. This is not how DIY is supposed to feel, people. I am overwhelmed by DIY, and I’m not even doing anything! All these cute “edibles in jars”. Too cute. Jars. Too much. They give me DIY anxiety. 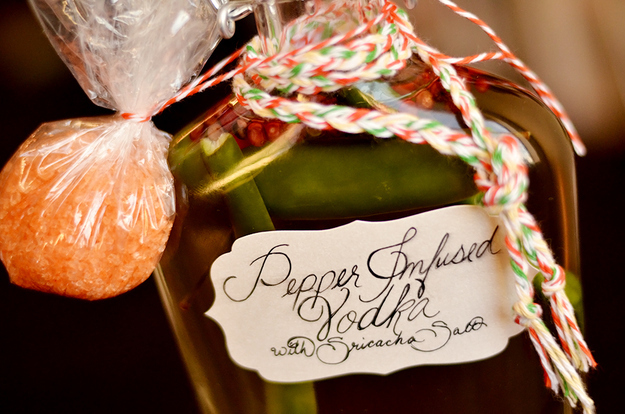 http://www.buzzfeed.com/christinebyrne/spicy-pepper-vodka-and-sriracha-salt. Hey, your label spells sriracha incorrectly. Maybe sricacha is more appropriate for pepper-infused cachaça. 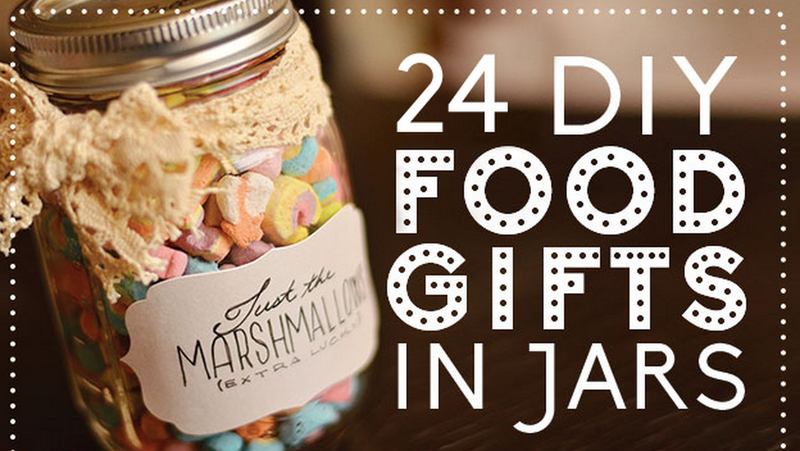 http://www.buzzfeed.com/emofly/diy-food-gifts-in-jar. In case you didn’t have enough to do this holiday season, look at these DIY gifts with envy and regret and self-doubt. YOU DIDN’T PICK OUT ALL THE MARSHMALLOWS IN THE LUCKY CHARMS? How can you call yourself a true friend?? Yesterday, to cope with the DIY drought, I made 3 flavors of nutella macarons (cinnamon, mint, and lemon) in cute boxes. They don’t have the hefty pieds that make macarons awesome because I had too many mimosas while making them, and didn’t figure out why they were slightly defective. Still delicious. I may get around to giving them out to people I had intended to give them out to. Or maybe I will just invite them over to eat them and have more mimosas. 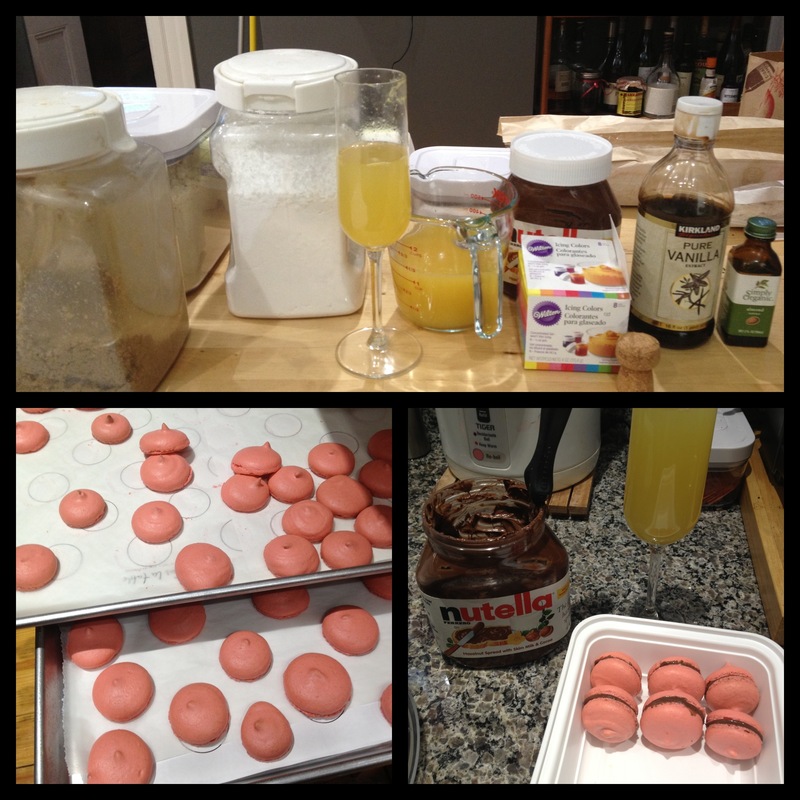 Mimosa…I mean, macaron ingredients up top; cookies right out of the oven; and filling the mim—macarons and boxing them. My knitting needles have been sitting untouched. My sewing machine and sewing bin have been in my car for 2 weeks. My craft room is peppered with the remnants of badly poured resin jewelry. We haven’t even sent our DIY Christmas Cards out yet, and they are just sitting in a pile on the floor of my living room, screaming to be stamped and addressed. Somehow, my DIY failures are making me feel like I am lacking in holiday spirit this year. How very Grinchy of me. I hope to rekindle my holiday spirit and my DIY spirit in the next couple of weeks, before the end of 2013. I am looking forward to settling down with a nice book, some tea, and a great mindless knitting pattern. And just maybe, I’ll gift it to someone. For their birthday. Or for no reason at all.